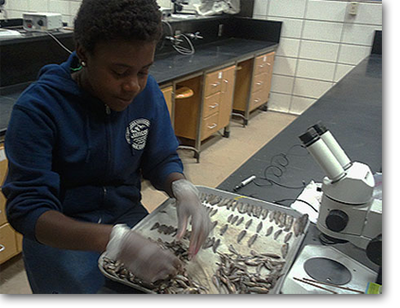 Summer internships/fellowships are available for undergraduates through some member research institutions of the Coastal Waters Consortium (CWC). Through home institutions, many consortium PIs participate in NSF funded Research Experience for Undergraduates (REU) site programs providing opportunities to students interested in CWC oil spill research (i.e. oil transport, marsh health, marsh organisms, continental shelf effects, etc.). The CWC directly supports two interns with funding from GoMRI at the Louisiana Universities Marine Consortium each summer. To view previous CWC related undergraduate projects click here.